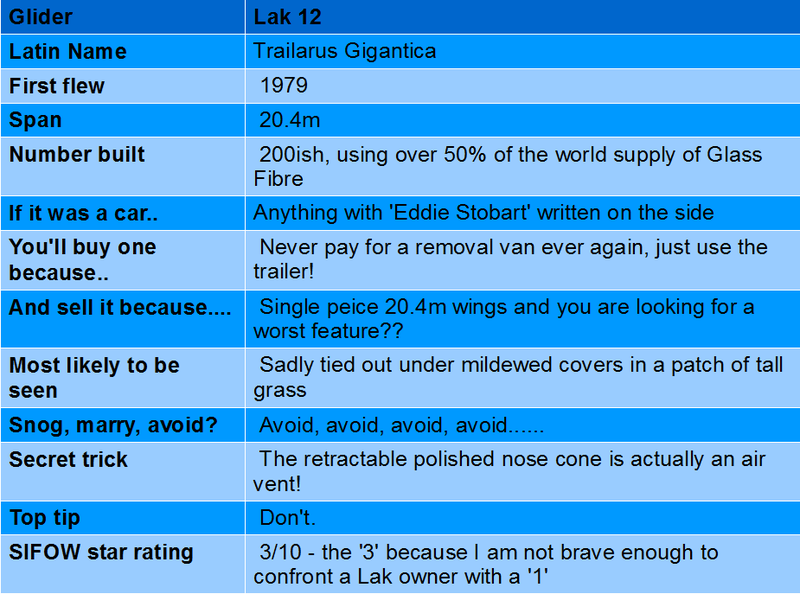 You have to admire the Lak 12. 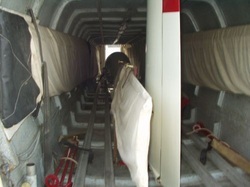 No wimpy 19m Kestral wings here, no the Lak uses single piece 20.5m wings to deliver 47 points of glide! You can spot a Lak-12 miles off, a combination of the low mounted tail plane and the when lower hanging wingtips. There are only 2 types of Lak pilots, those that have ground looped and those that areabout to. But the best feature of the Lak 12 is the trailer...it is HUGE, with the ability to fit 8 London black cabs inside. The obvious downside of the Lak is the weight when it come to rigging, the long wings not helping as they sag unless supported in the middle. The Lak 12 does exactly what it says on the tin, trouble is the tin is gigantic.